Apparently, RE zealots think illiterate school kids ranting about wind and solar saving us from imminent global incineration is a good thing. Putting aside the central premise and the debate about whether carbon dioxide gas (a naturally occurring, beneficial trace gas essential for life on earth) is just plant food or a pernicious and deadly toxin, maliciously designed to wipeout life as we know it, the witless young school waggers have absolutely no idea about how electricity is generated, distributed or used (mummy charges their iPads and phones, as if by magic). This is a generation who operate in a fact and consequence free zone, where wild and emotive passion trumps cool and logical reason, every time. 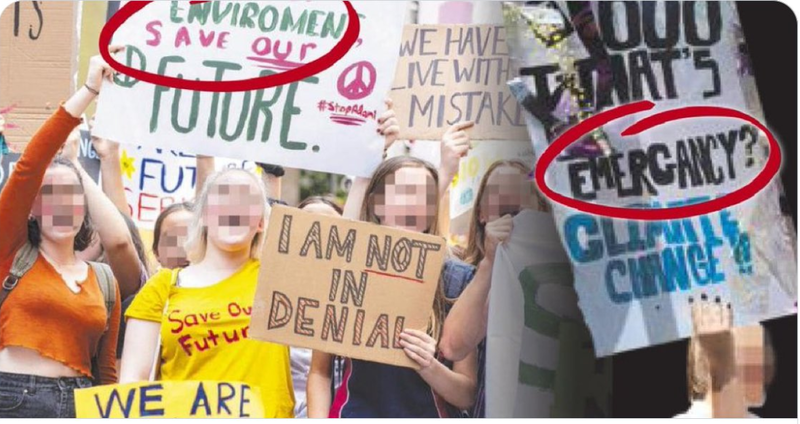 Plenty of placards amongst the youthful and exuberant mob concerned heartless politicians “burning their future”, by not throwing $trillions more in subsidies at intermittent wind and solar.